Don’t leave your household cleaning routine for next spring. Instead, clear the clutter, remove stains and dust down dirty surfaces now so that your home is sparkling and tidy for your holiday guests and upcoming soirees. A regular maintenance plan will keep the dirty overwhelm at bay. As always, avoid conventional cleaners that are loaded with dangerous toxins and synthetic fragrances. 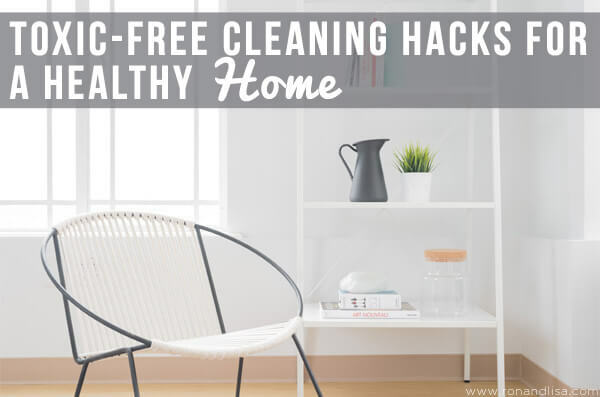 Instead, enjoy these simple, affordable and easy cleaning hacks from our friends at EZ Living Interiors. Scrub-a-dub! You’re so welcome Martha! Glad you enjoyed these tips! Thank you so much for sharing these cleaning tips! One thing I love about them is they are not that expensive and most can be seen around our house. I will definitely be utilizing your tips when we do our major house cleaning next week! Thaks for sharing this cleaning tips. I will follow your suggestions. Thanks Patricia! Glad they help. Happy (and healthy) cleaning!